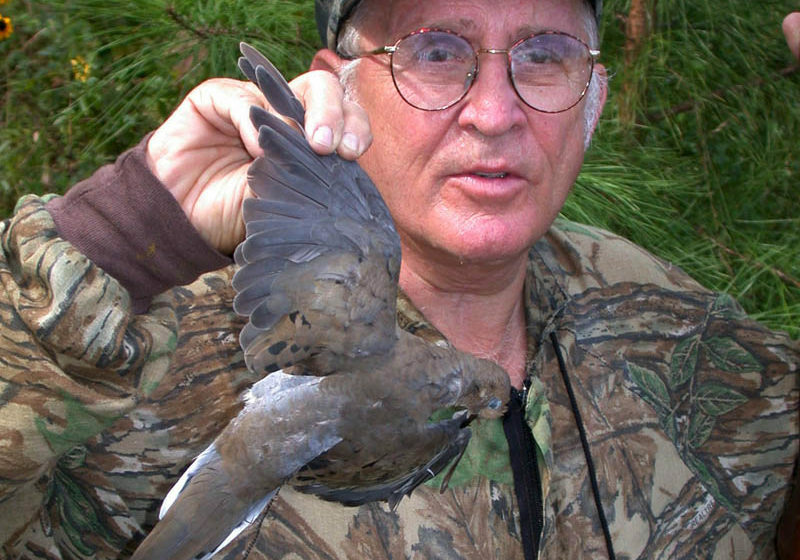 Editor’s Note: My dove-hunting education while growing up began in a suburb of Birmingham, Alabama, called Wylam, about a block from my home. There was a big pasture with some hardwoods scattered throughout and a large reclaiming plant on one side, both owned by U.S. Steel. This area was a gathering place for elementary school boys to hunt, with us progressing from BB guns to .22 rifles and finally to .410 shotguns. Our number-one target was doves. 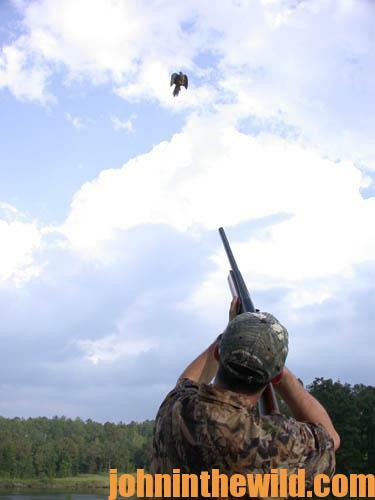 Many of the tactics I learned then still work today, and I’m always open to learning more ways to take doves. * Have plenty of cover. You need to be able to hide until the doves reach shotgun range. * Be able to see approaching doves from every direction. * Have the ability to swing your gun in a full circle without having to shoot through bushes or trees. * Don’t set-up near a swamp, tall grass or thick bushes, since you won’t find many of your shot birds in those areas, unless you have a retriever with you. * Pick a stand where you won’t have the sun in your face when shooting. * Remember to set-up with as much sky available as possible to silhouette a dove and see it better. * Identify a bare tree on the edge of a feeding field as a place doves like to use for observation. Then take a stand 20-yards away. * Pick out a bare tree, a bush or a fence that’s not overgrown with brush to place your decoys in, so they are silhouetted. 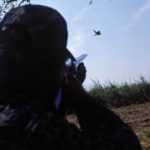 * Make a blind in a cut corn field from cornstalks in the middle of the field, when few or any other hunters will be on the field. * Use a range finder to accurately determine the distance from your stand to place markers to the effective range of your shotgun. Place the marker stakes you’ve made from painted coat hangers with you, and put at all points of the compass – north, south, east and west. Use more stakes if possible. 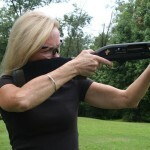 If shooting a modified choke, put the stakes at 45 yards or at 35 yards for an improved cylinder choke to gauge the range of the doves. *Estimate the heights of trees around the dove field to help you know how high doves are flying. 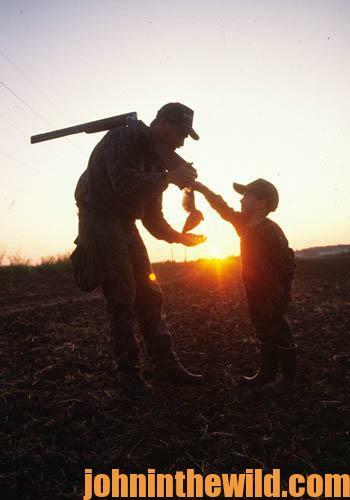 * Have a well-trained dog that finds doves by seeing where the dove falls, has a good nose and can be directed by hand signals, which will keep you from being distracted and worrying about finding those birds. 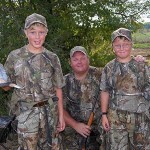 The annual crippling loss of doves generally is 26-29 percent each year. Doves are hardy birds and may travel 1-2 miles after being shot. 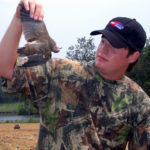 * Use retrievers like Labradors and goldens that have been trained for waterfowl in the dove field. According to one hunter, he’s seen one Lab handler work 30 blinds at a dove shoot and seldom miss a bird. * Don’t forget the springing breeds – springers and cocker spaniels – for retrieving doves on land and water. * Consider using pointing breeds, German shorthairs and setters too, in a dove field. * Use force broken methods to help train a dove dog – teaching a dog to retrieve anything you shoot, throw or command him to fetch with a soft mouth. 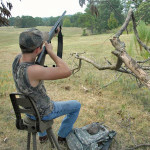 * Take only dogs that have had obedience training and can be controlled by you to a dove shoot. 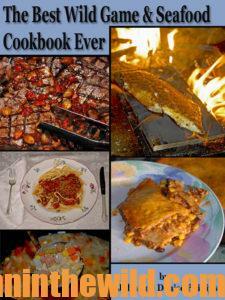 To learn delicious recipes for preparing doves, see John and Denise Phillips’s “The Best Wild Game and Seafood Cookbook Ever: 350 Southern Recipes” at https://www.amazon.com/Best-Wild-Game-Seafood-Cookbook/dp/0692234683. 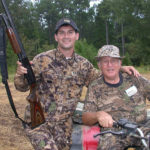 To see others of John’s books on hunting, go to http://johninthewild.com/books/. What Kind of Wild Are You Looking For? Sharing John’s Stories is A-OK, But Stealing Them Isn’t. ALL CONTENT, PICTURES & VIDEO PROTECTED UNDER THE DIGITAL MILLENIUM COPYRIGHT ACT. Content theft, either printed or electronic is a federal offense. Copyright (c) John E. Phillips, 2014-2015. All rights reserved. Nighthawk Publications, Inc.
John's Going Wild on Social Media. Join Us!